This large woven wristband was worn by men, usually in pairs high on the forearm, and was donned only on special occasions. 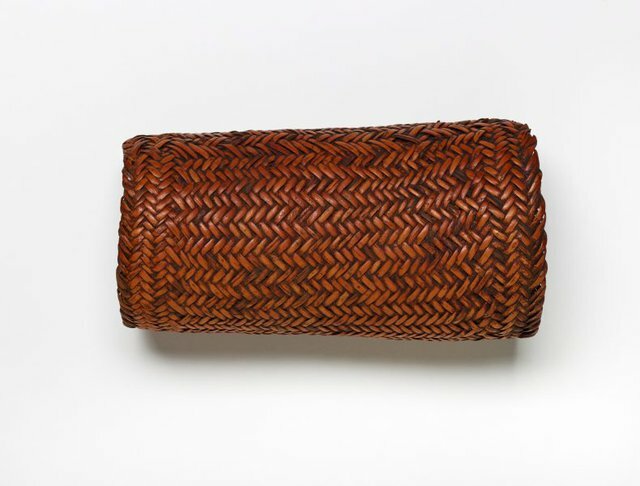 Wristbands were made using split strands from a variety of rattan canes and vines, and woven using a herringbone pattern. It took between ten and twelve hours to make a pair of woven wristbands and required specialised skill and knowledge. Older wristbands, such as the one collected by Stan Moriarty in Poroma in 1969, are commonly dark brown, stained by smoke.